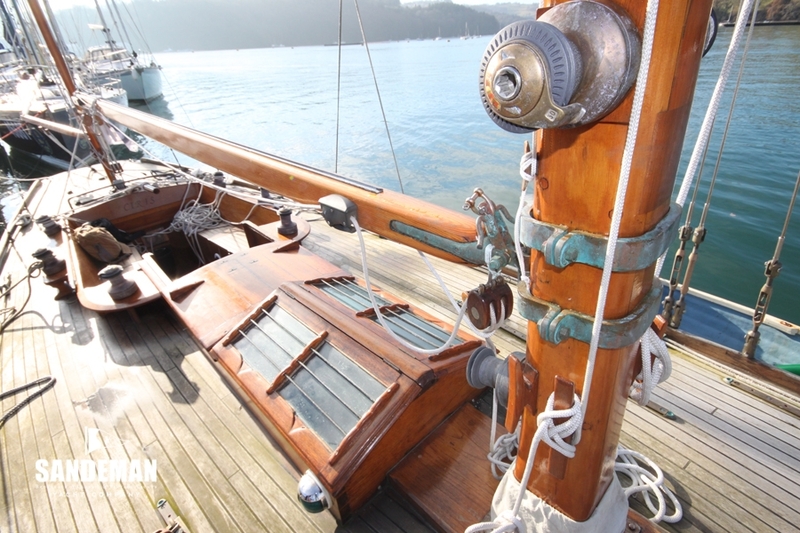 CIRIS was one of Albert Luke’s earliest designs and that in a style very much of her Edwardian time with her deep radius cruising bow and generous counter stern. 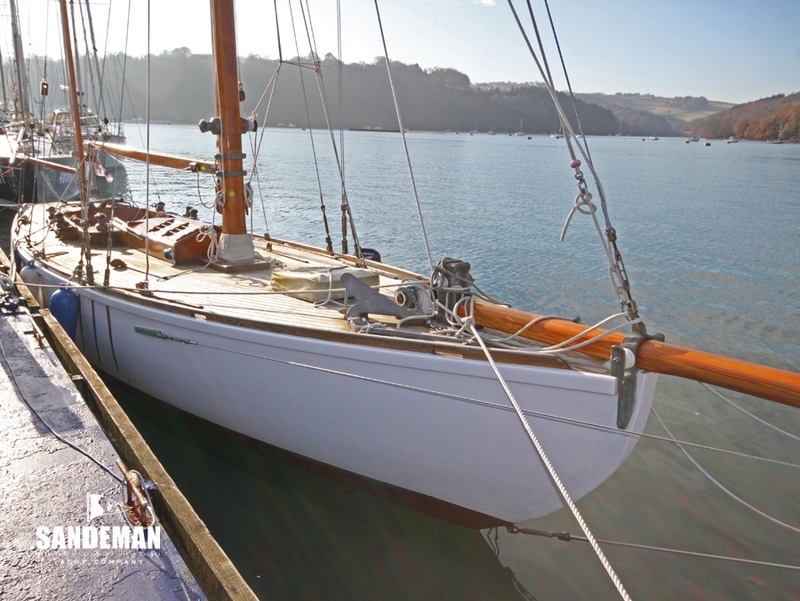 That she was built at the Luke yard blessed her also with the high standard of craftsmanship for which their artisans were renowned. 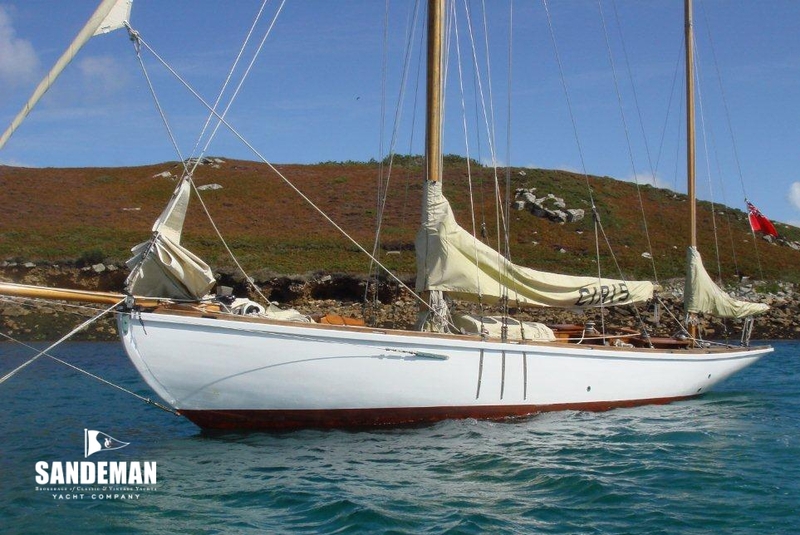 Her early active years gave way to some neglect in the 1960s but happily she was discovered by her current owner who discerning her hidden beauty determined to restore her to the fine cruising yawl she has once again become. 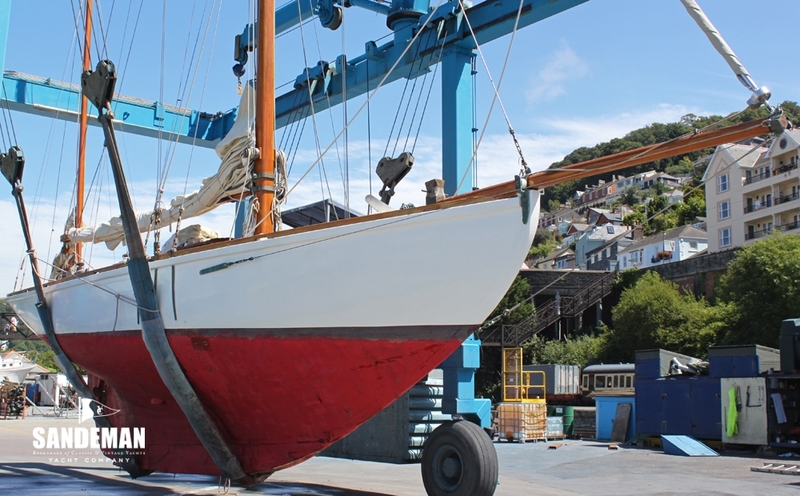 More than a centenarian, CIRIS has had numerous owners and has undergone several changes of rig over the years. 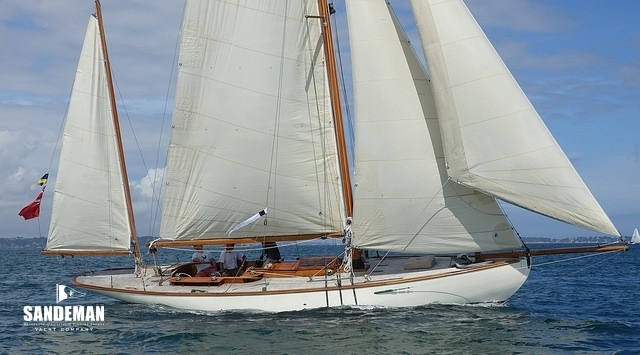 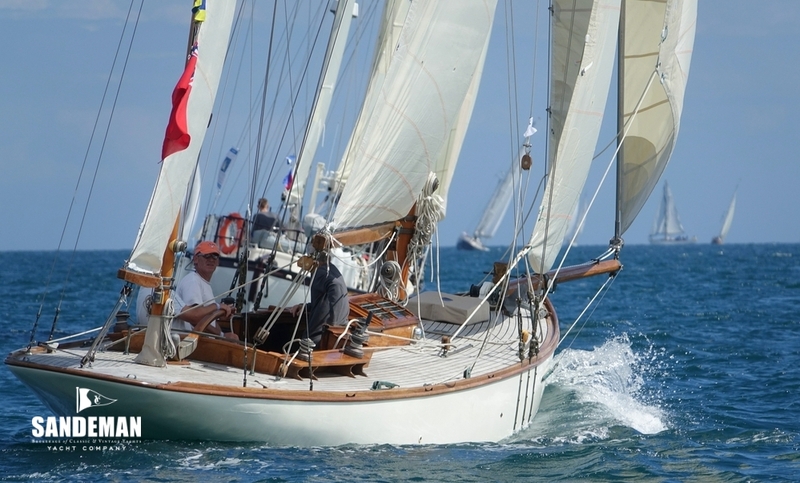 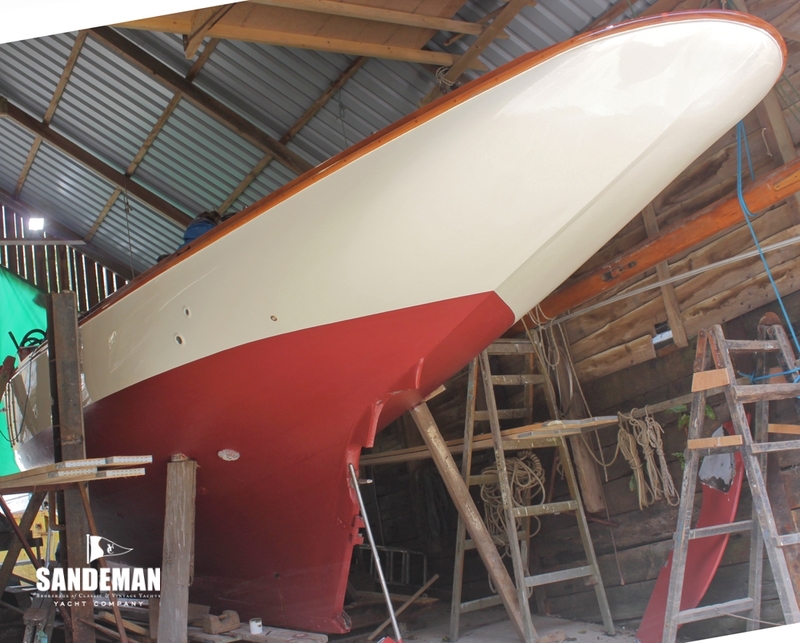 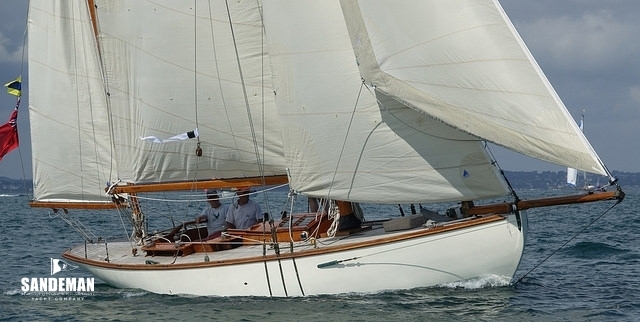 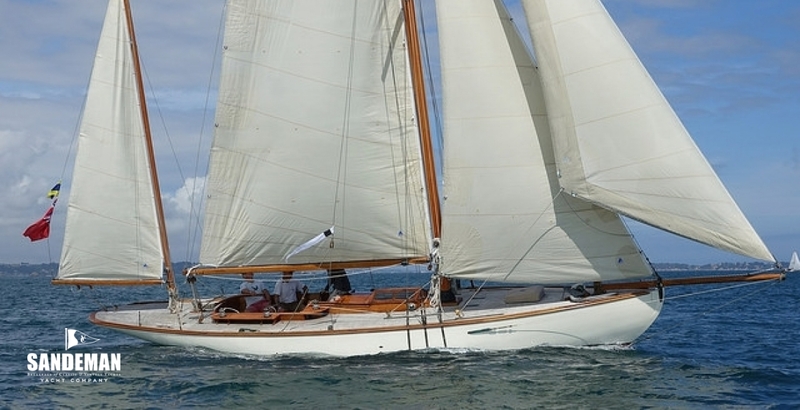 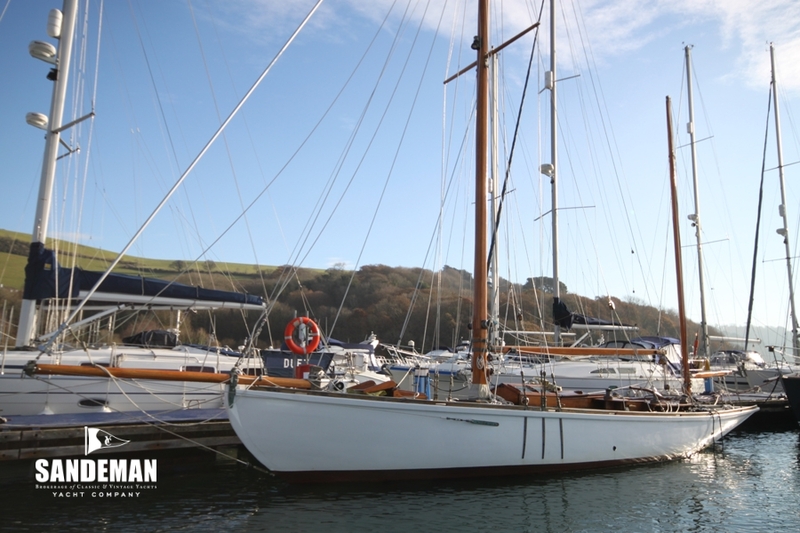 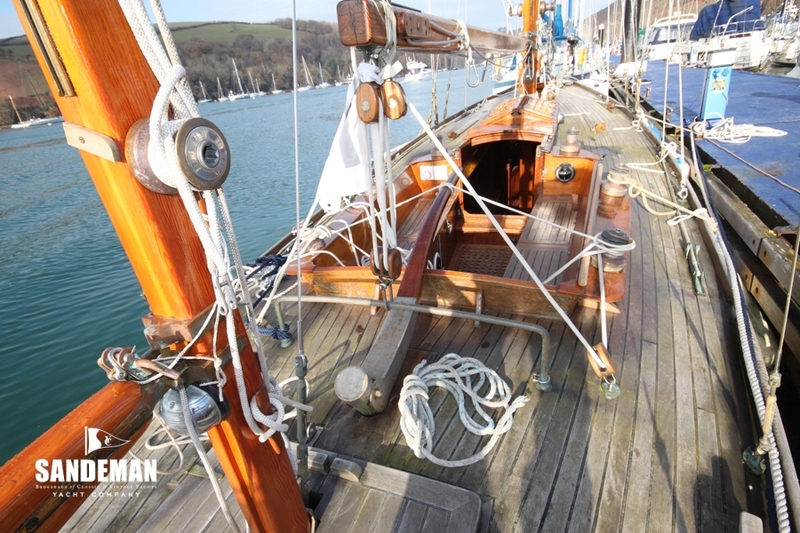 Reference to Lloyds register in the years shown reveal she was first built as a wood yawl to the order of one Walter S Winans. 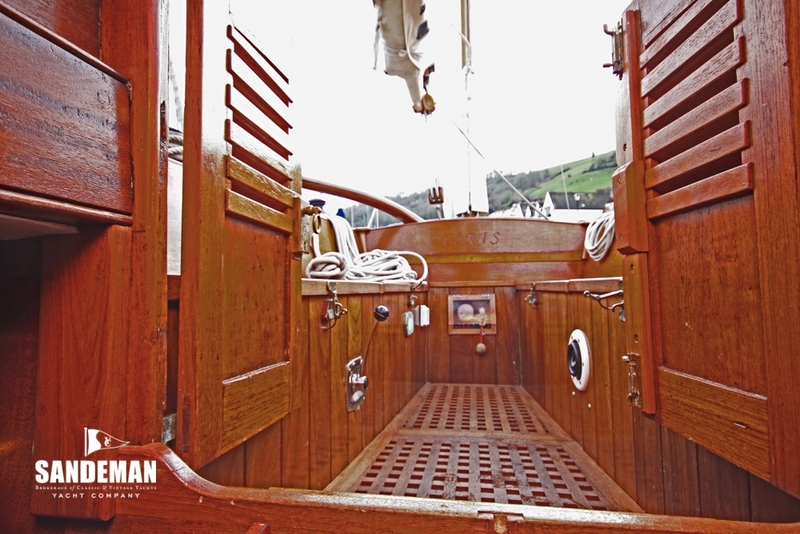 Of mixed descent he was a noteworthy sculptor, artist and marksman with 2 Olympic gold medals for shooting to his name. 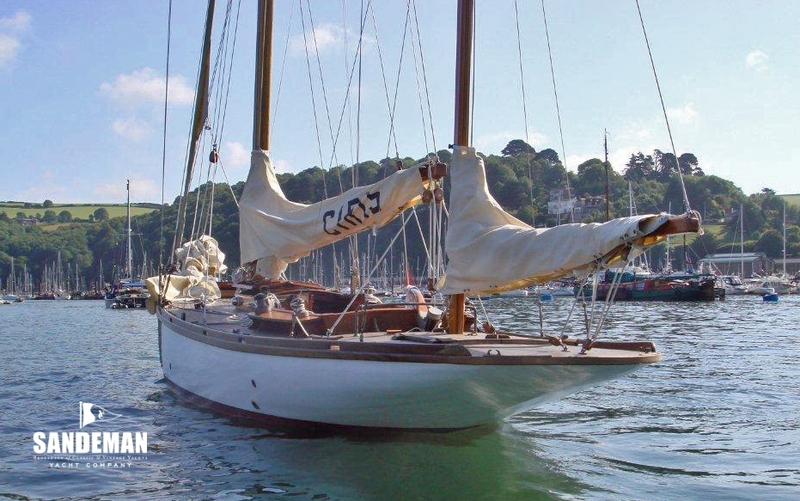 In 1910 CIRIS was installed with an engine and by 1920 she had a new owner FGT Dawson. 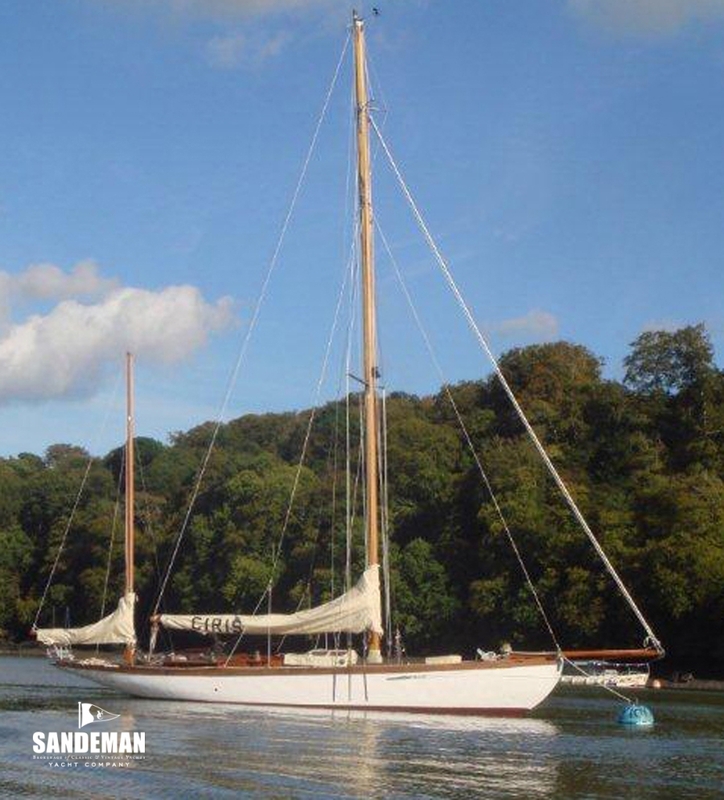 By 1925 still as an auxiliary yawl she acquired another owner C S Davey and by 1930, her mizzen mast removed she had become an auxiliary cutter. 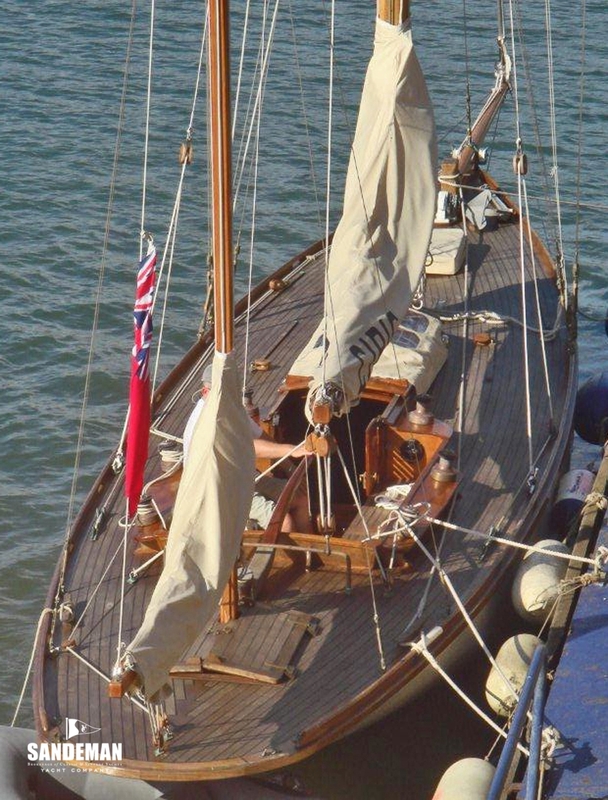 By the time of WWII she had 2 new owners; Geoffrey Burton and Charles Beveridge, then post war another; Phyllis Millar. 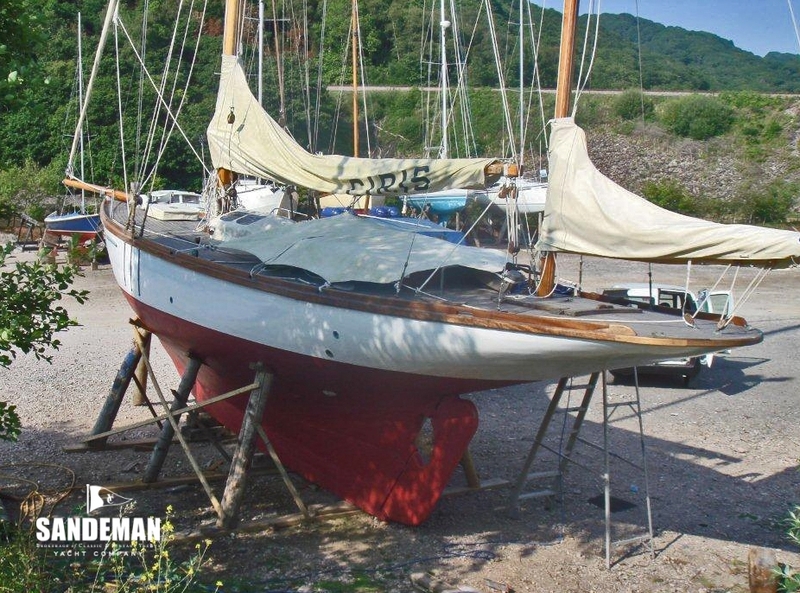 Thereafter not much is known until she was discovered sunk in Thames mud in 1989 then to be restored and sailed for a few years as a Bermudan cutter again before a full restoration completed for her re launch in 2005; once again with a mizzen mast, rigged as a yawl. 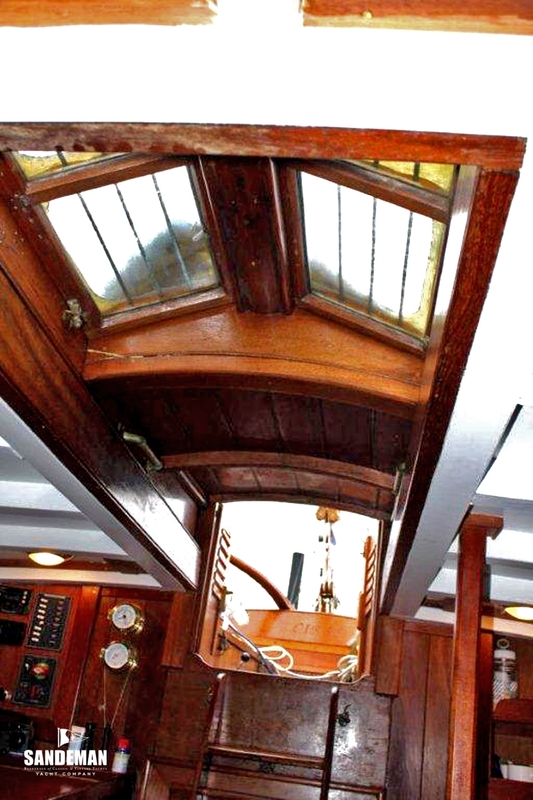 The foredeck leads past the fore hatch into side decks with 2 light prisms set therein and raised coach roof resplendent with butterfly hatch skylight to the cockpit with high teak coamings, 4 x deep lockers below seats and aft deck with hatch with double hinged covers astride and abaft the mizzen mast. 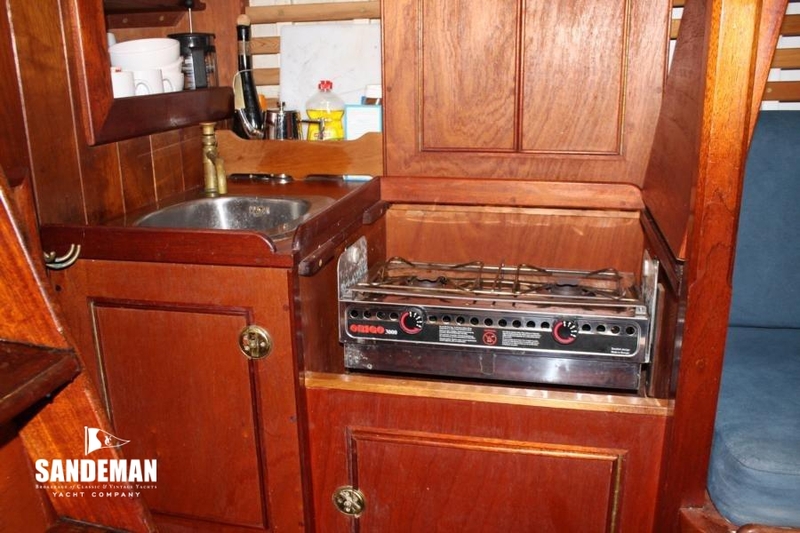 To port is the galley with stainless steel sink with manual bronze tap and gimballed Origo 3000 two burner spirit stove with stowage outboard and below. 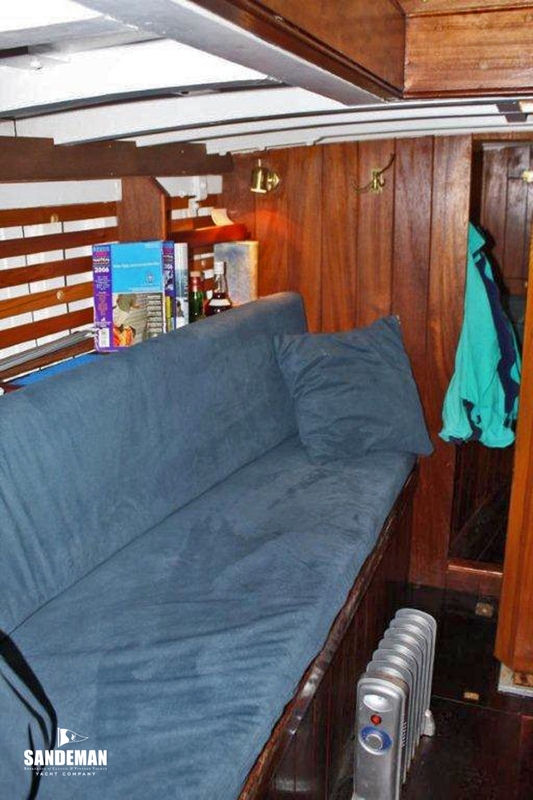 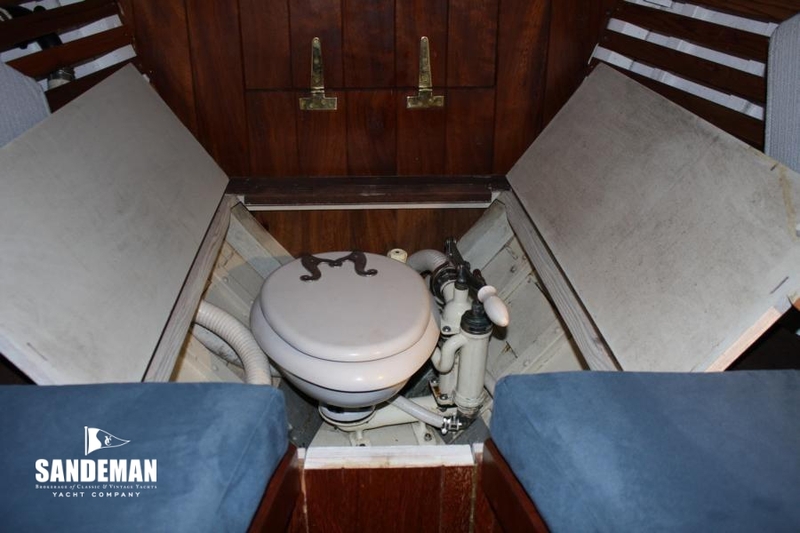 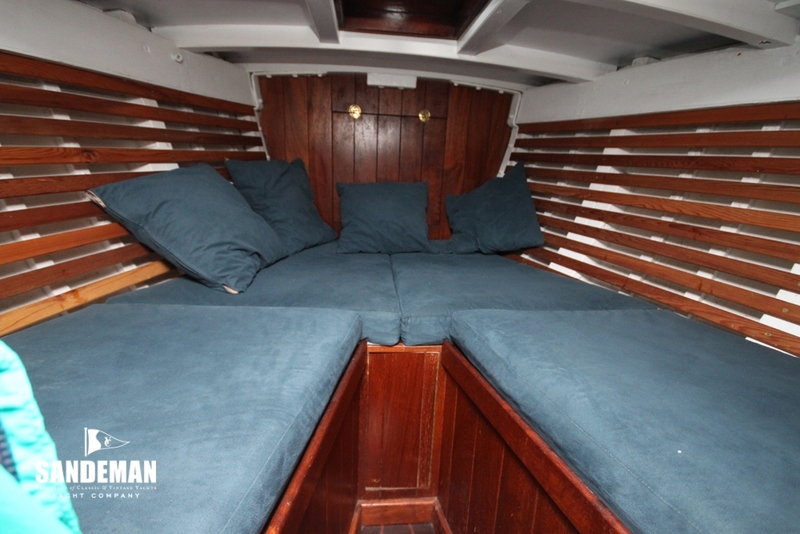 A semi bulkhead gives way to the Saloon settee berth port side with stowage also below and above outboard. 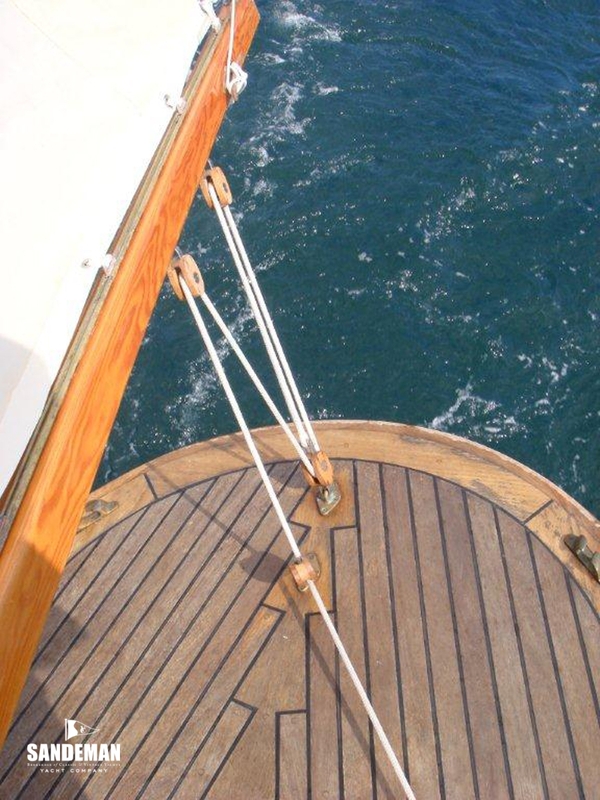 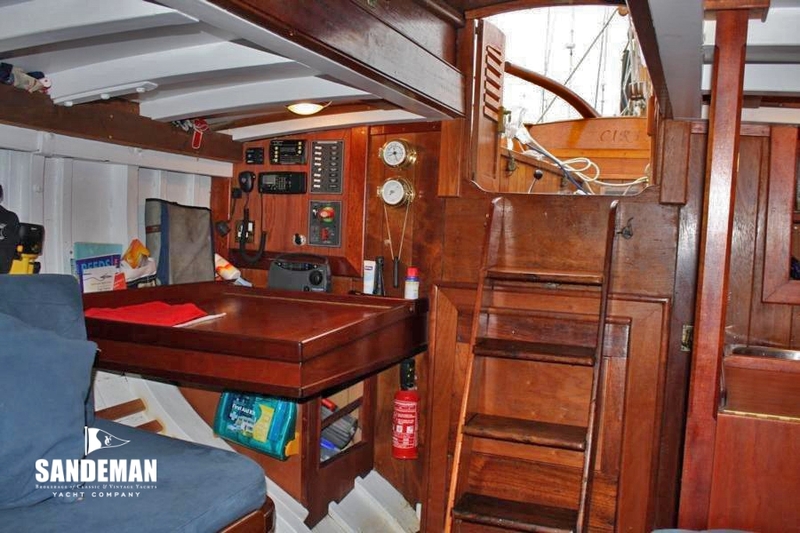 For’ard the mast an open doorway accesses the open batten lined fore cabin with vee single berths either side. 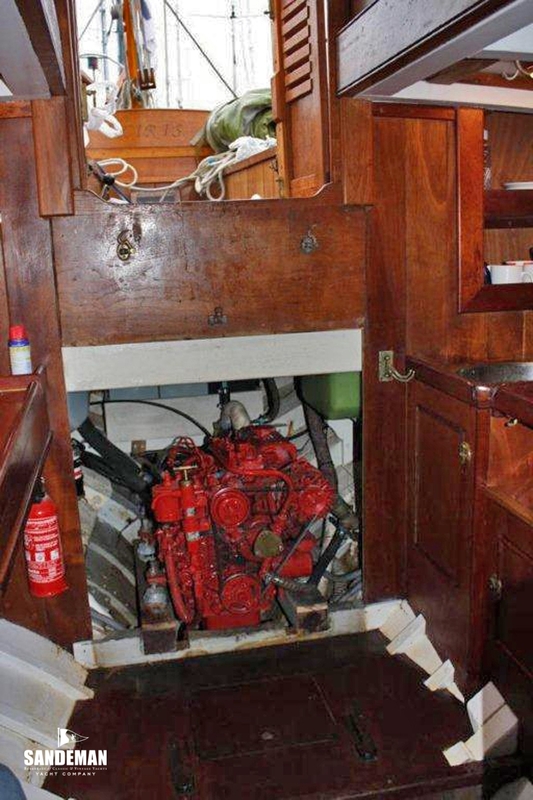 At the forward end the furnishings and bunk boards lift out for access to the head equipped with Simpson Lawrence manual sea toilet. 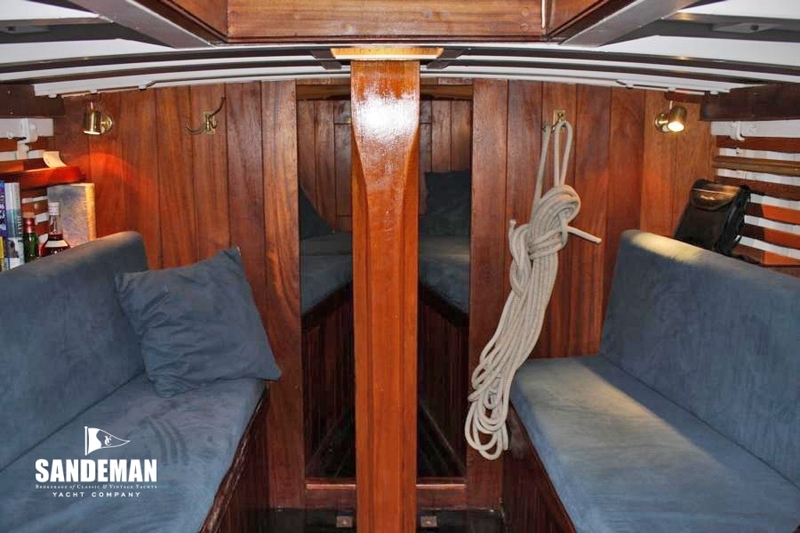 There are deckhead and reading lights. 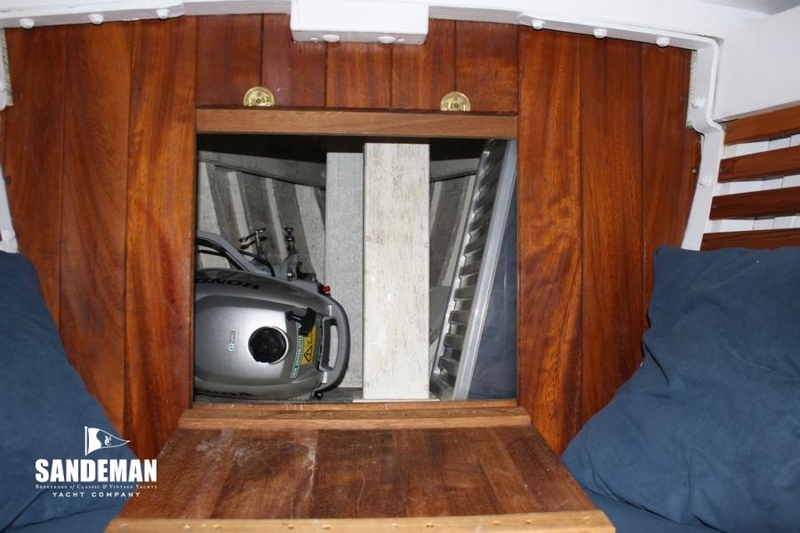 The bow chain locker is accessed by a hinged drop down locker door. 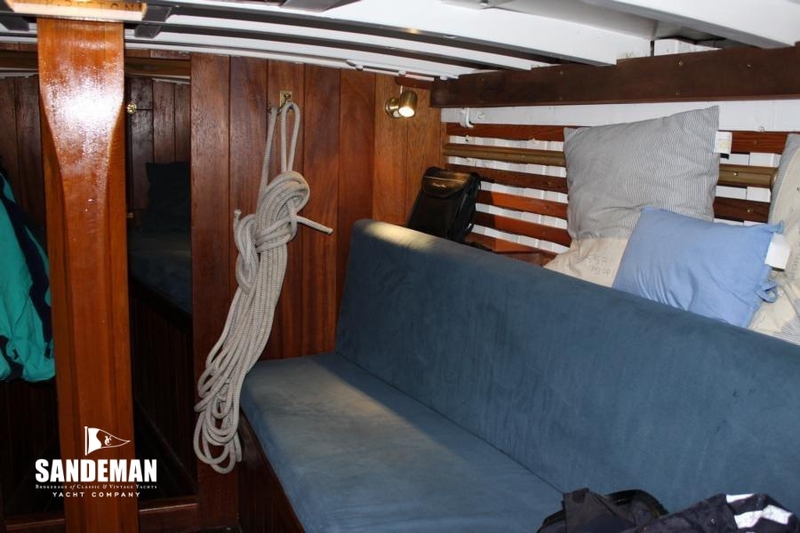 Coming aft there is a settee berth in the Saloon starboard and then the chart table navigation area same side aft, facing the galley. 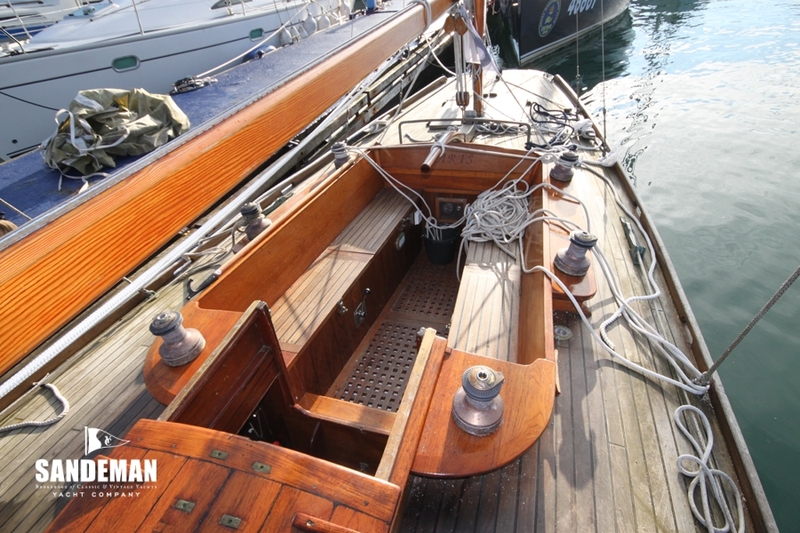 Yawl rigged with spruce main mast, single ash spreader and diamond, spruce mizzen mast and spars, stainless steel standing rigging wires and bottle swaged terminals. 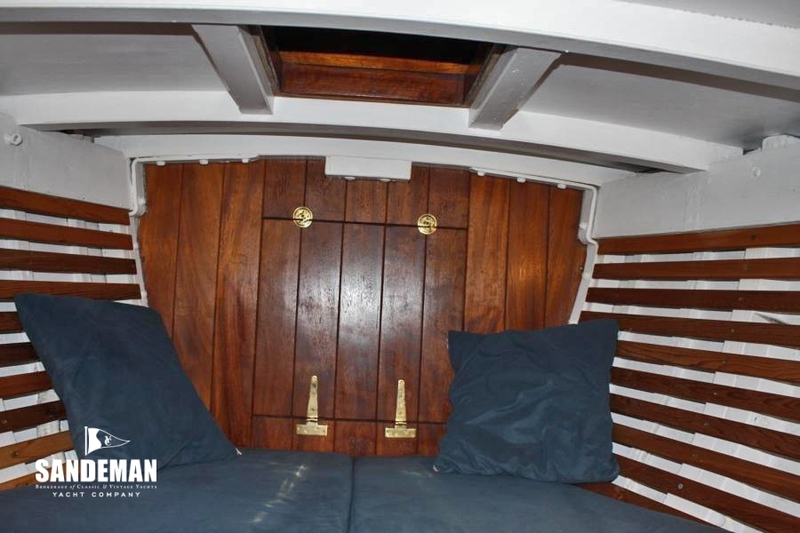 - Bronze open bodied bottle screws. 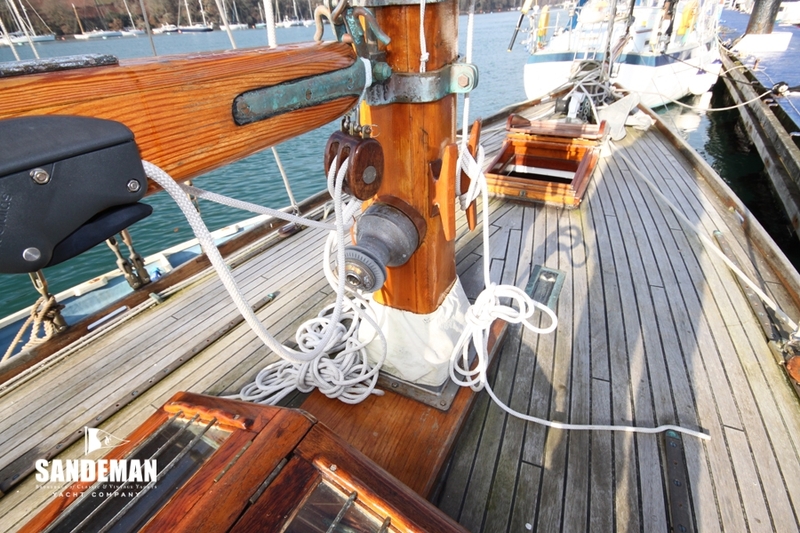 - Various mooring lines and warps. 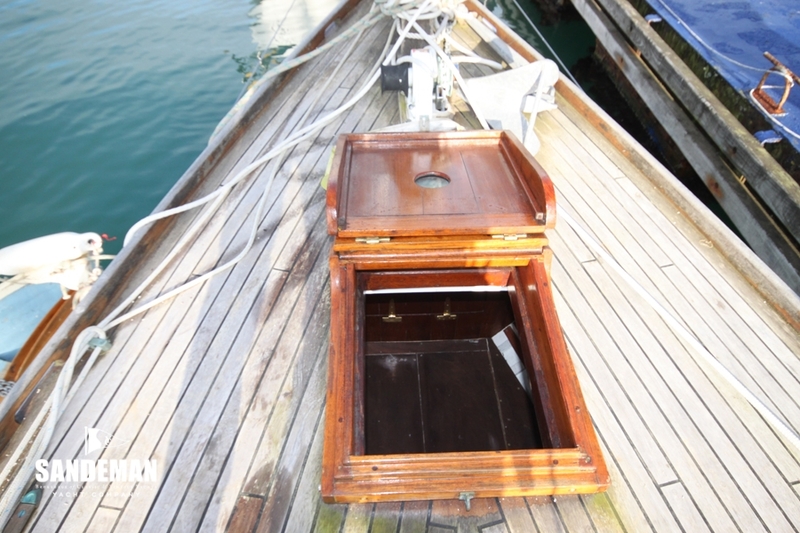 - 200 GPH Submersible Bilge Pump and float switch.